Born in Husum, a small coastal town in the far north of Germany, my parents soon moved to Hamburg with me where they raised me in an unspectacular but friendly area surrounded by the apple trees of the „Old Land“ – a famous fruit-farming region. Experiencing a rather lucky and sheltered childhood my relation to music had an average teen quality. Listening to the music that was present in those days and for my age, like ABBA and The Beatles, the main impulse in my life as a German teenage-boy was trying to spend as many hours as possible playing soccer with friends. 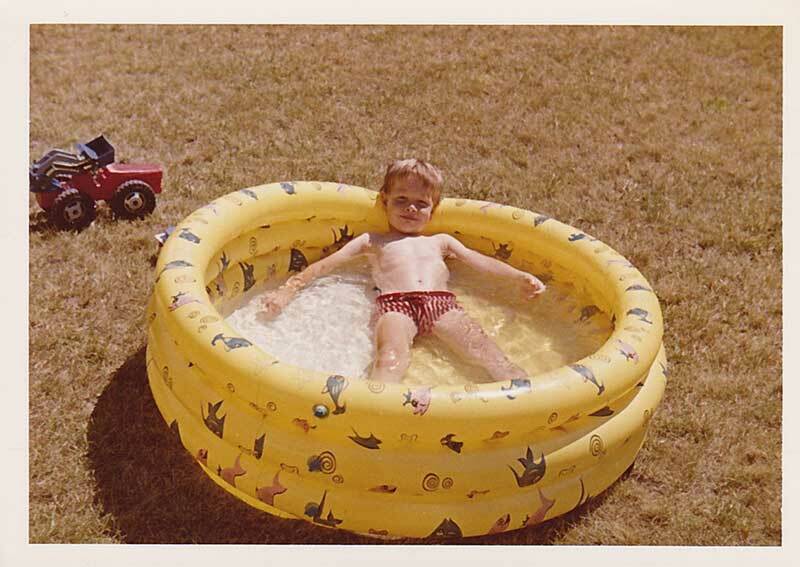 Remember the days prior the invention of smartphones – we had a real life! It was the attempt of my best buddy to keep me from an usual soccer-afternoon by playing Mike Oldfield’s “Platinum” record to me that changed everything. Blown away by what I heard, this kind of music was a game changer. 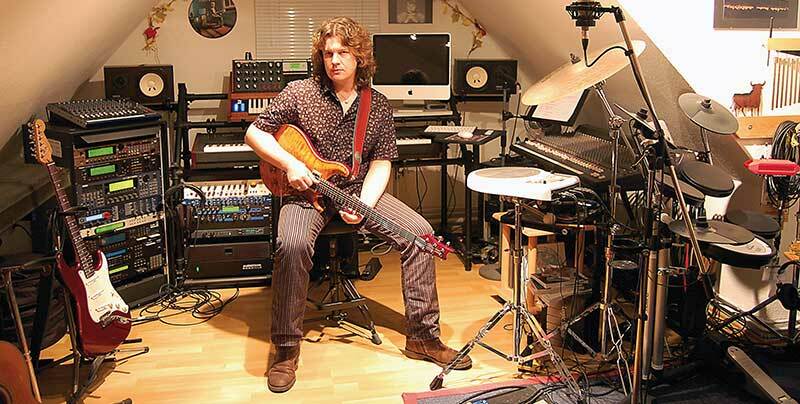 The intensity of Oldfield’s electric guitar-playing on that album opened the door to a whole new world. I was hooked! Every single penny of my pocket money from then on was invested in vinyl. Living in Hamburg, many of the celebrated musicians I discovered stopped over on their tours right in front of me, so I needled my father to get me to a concert – I was just thirteen! Music became the driving force in my life and I wanted to be a part of it – not just listen to it. I was fourteen years old when I started playing guitar and instantly formed my first band. We were three guitar players in a band without a bass player when I discovered my ability to play whatever was needed. Switching to the bass for my bandmates was actually the first step to become a multi-instrumentalist. The following years were “The best years of my life” like Brian Adams nailed it in his song. The years of youth, living in rehearsal rooms, playing your first gigs – a world of sleepless passion. 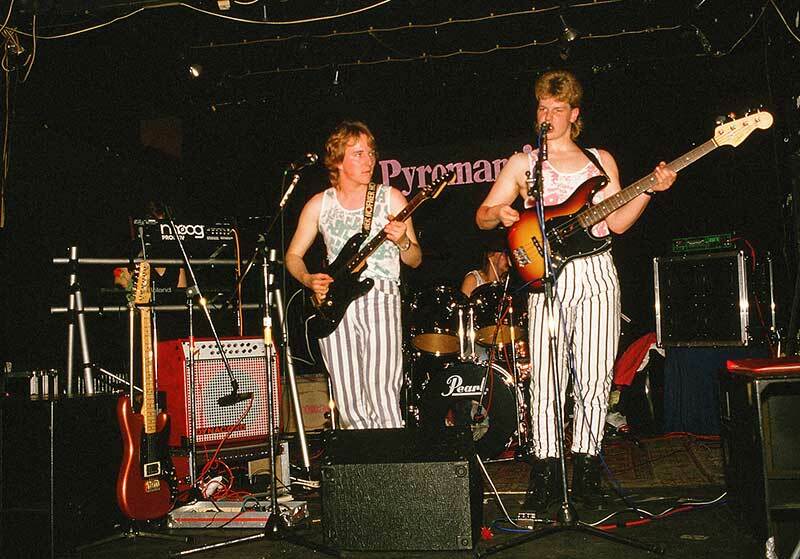 Being in a band in the eighties meant lots of hair, uniform stage outfits, kohl eyes and loads of fun. 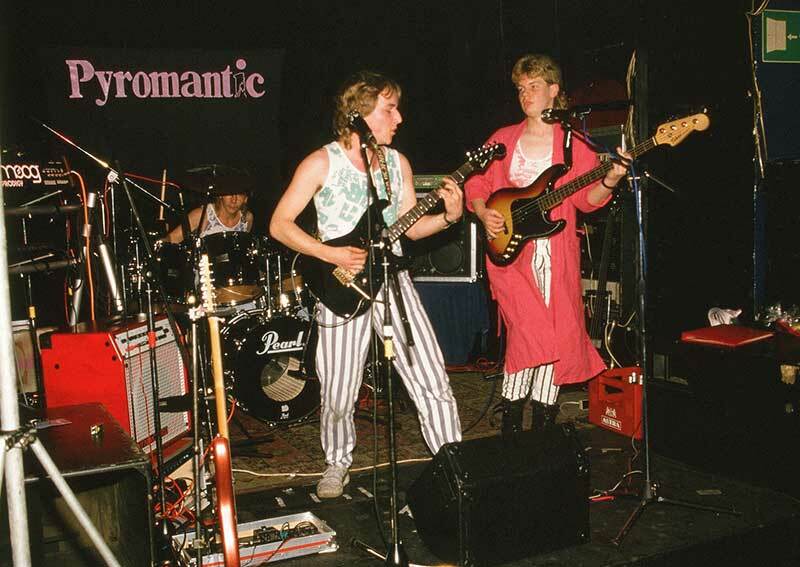 When my band “Pyromantic” split up it was time for a change. 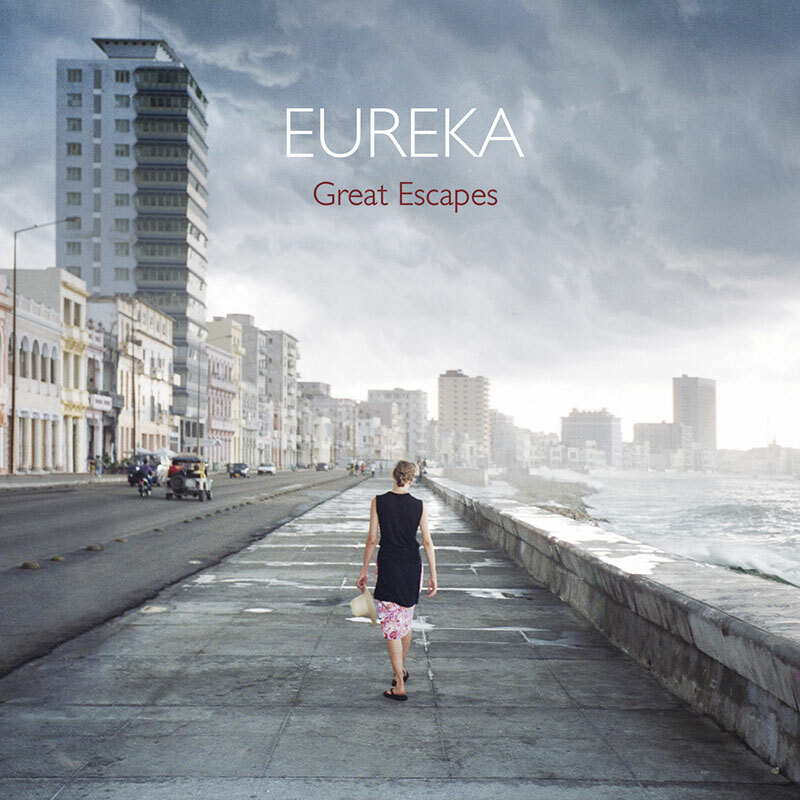 In 1993 I moved to my native city and built my first studio to start recording the music that later became the first EUREKA album, released as a CD in November 1997. As I had become a multi-instrumentalist I played all the instruments by myself from that time on. I engaged my girlfriend to sing and play flute on the record. 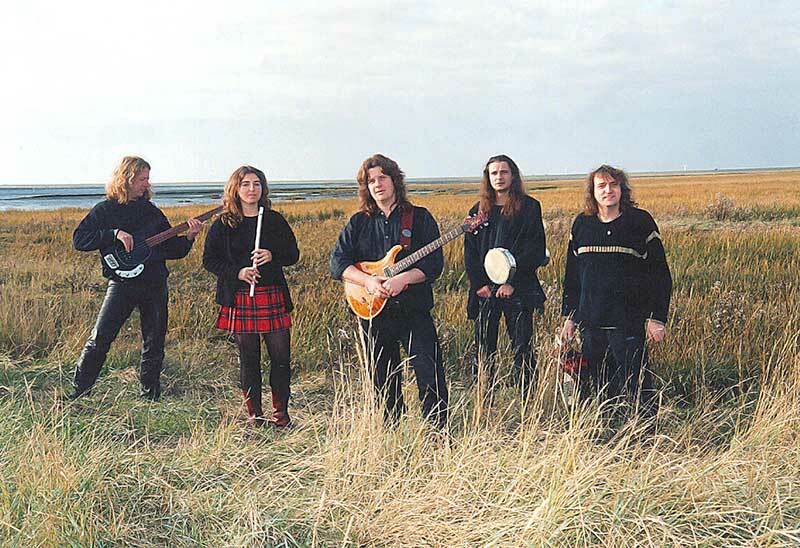 The music on the first album was a blend of progressive rock and Celtic folk elements – quite unique for its time. As I managed to sell the first 500 copies by myself on a local level I continued my work to shape the sound of the project in a more concrete direction. Working on new tracks I developed a very emotive style that was based on complex, detailed percussion arrangements that served as a solid foundation for the vocal and instrumental tunes often based on Celtic and ethnic music themes. 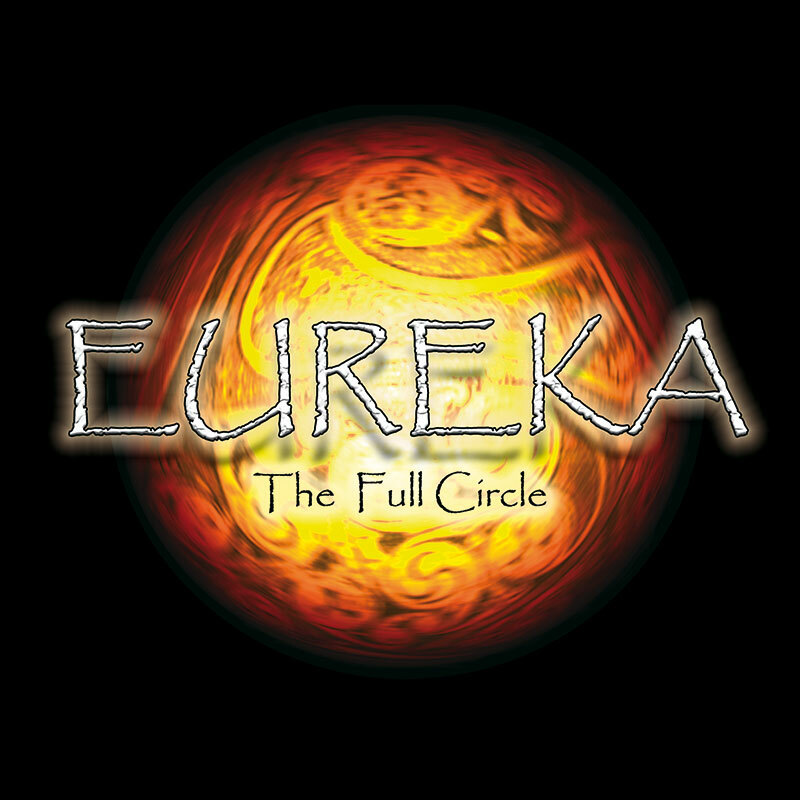 Backed by a growing quality of both, my songs and my studio, the second EUREKA album „The Full Circle“ (released in 2002) became a signature work and gained growing attention in the music press. 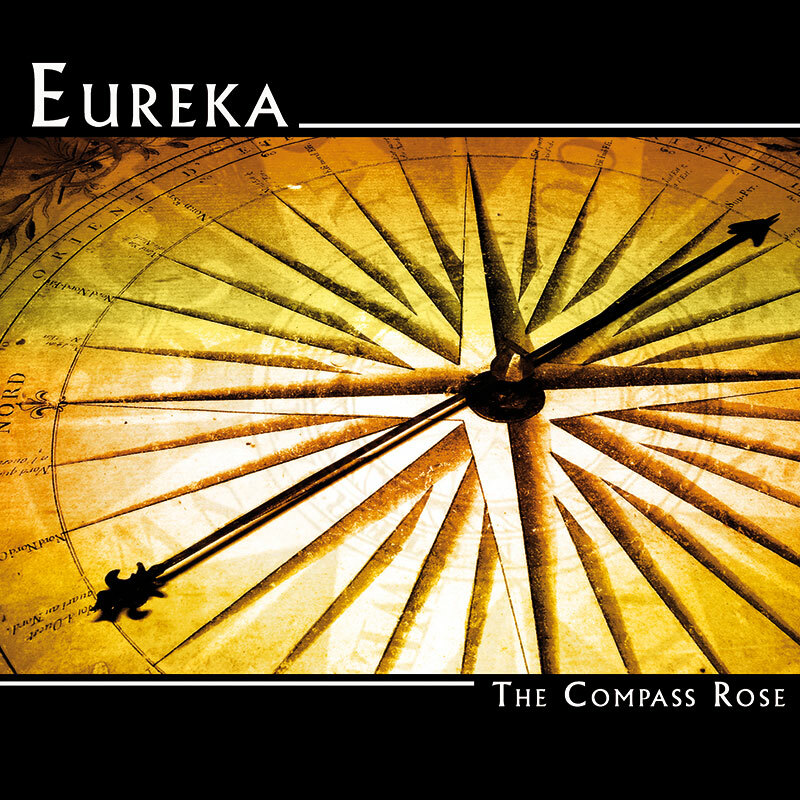 The tracks „Highland Sun“ and „Tempus Novum“ were featured on numerous genre samplers establishing EUREKA to a wider public. Quite a big success for someone doing it all by himself! Actually I could make a living from the sales of the album for the first time – but the days of copying and streaming appeared on the horizon. Despite to the fact that EUREKA was never planned to play live the requests came in and so I formed a live-band featuring musicians of the area. 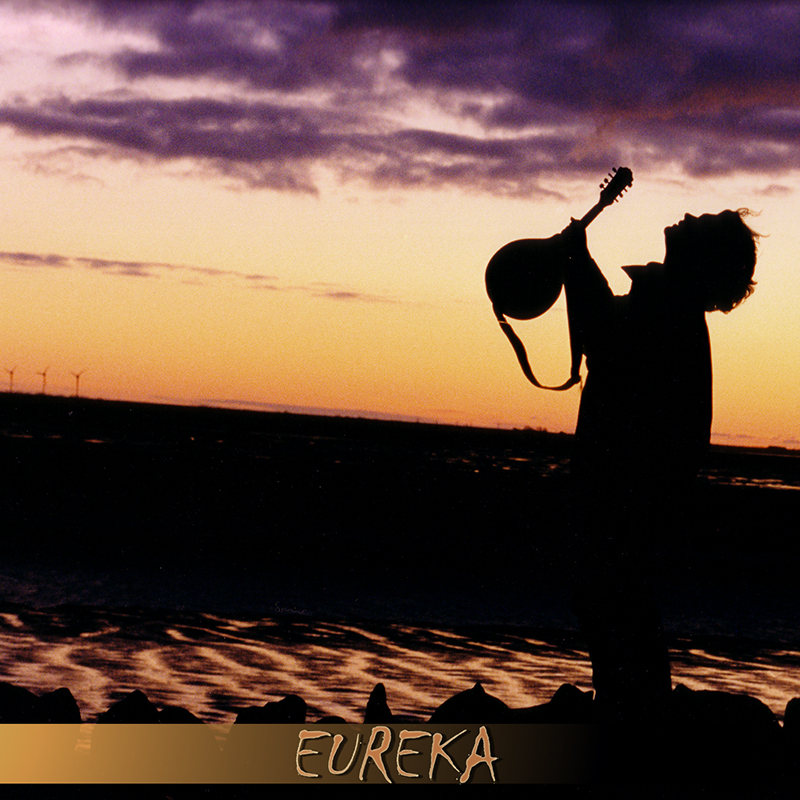 We started to play concerts bringing the music of EUREKA to live audiences. I have fond memories of that time – the audiences loved us playing that music. Feeling so comfortable with the musicians of the live band I started to engage them in the recording process of the third album. 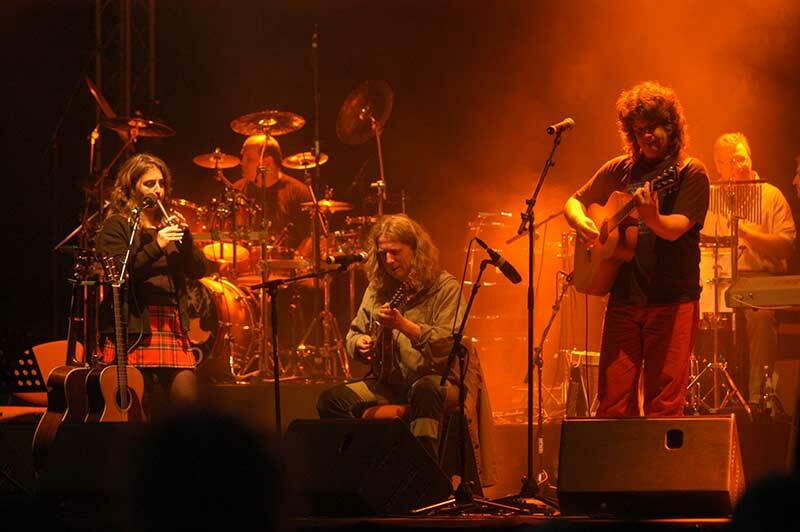 “The Compass Rose” turned out as a colourful blend of Celtic and world music influences. 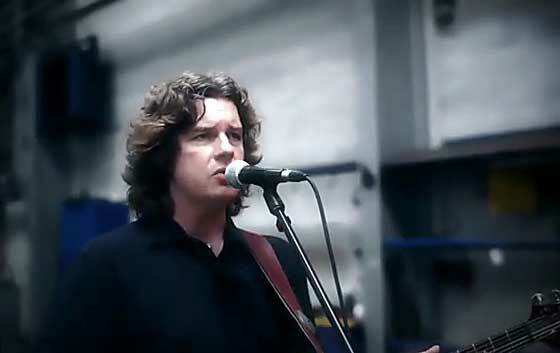 It was released with a big concert in front of the Castle of Husum in the summer of 2005. By the end of the year a long smoldering crisis between the mother of my then five year old son (she was the main singer of EUREKA at the time) and me, reached a point of no return and I decided to end the long relationship to her. I relocated to a house not too far away to be near to my son and built a new studio. Encouraged by the fresh power of a new phase of life and a new love, I tackled a big chunk I had in the drawer for a long time – the idea of a concept album about Ernest Shackleton‘s „Endurance“ expedition. Aware of the fact that I had a good deal of work ahead I wanted to get sure that I could reach as many people as possible with the album. 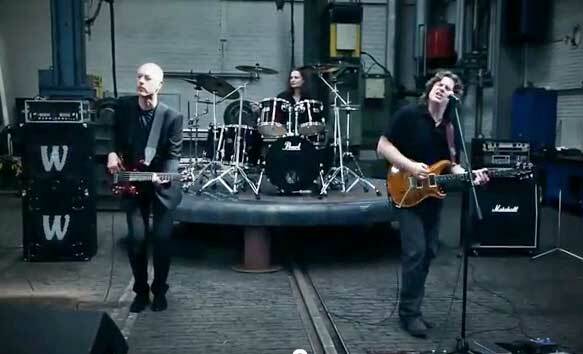 I decided to work with a label for the first time and bring in some prominent guests, like Billy Sherwood from Yes, Yogi Lang from RPWL and Troy Donockley from Nightwish, all well-known musicians from the progressive music scene. As the icing on the cake the label bought the concession to use the original photos of the expedition photographer Frank Hurley to be used in the 20 page booklet that comes with the CD. 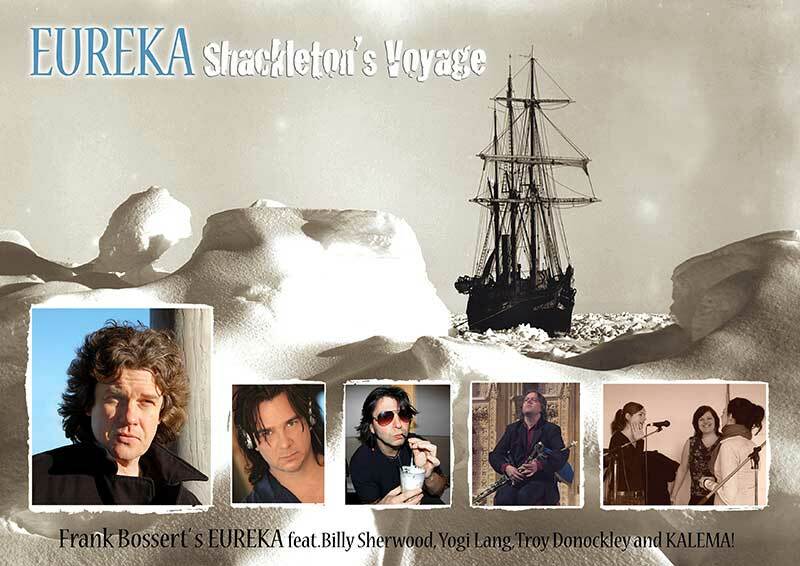 „Shackleton‘s Voyage“ was released by Inside Out / Tempus Fugit in June 2009 and gained a lot of publicity in the progressive music scene, often celebrated as a great work of art in reviews all across the world. 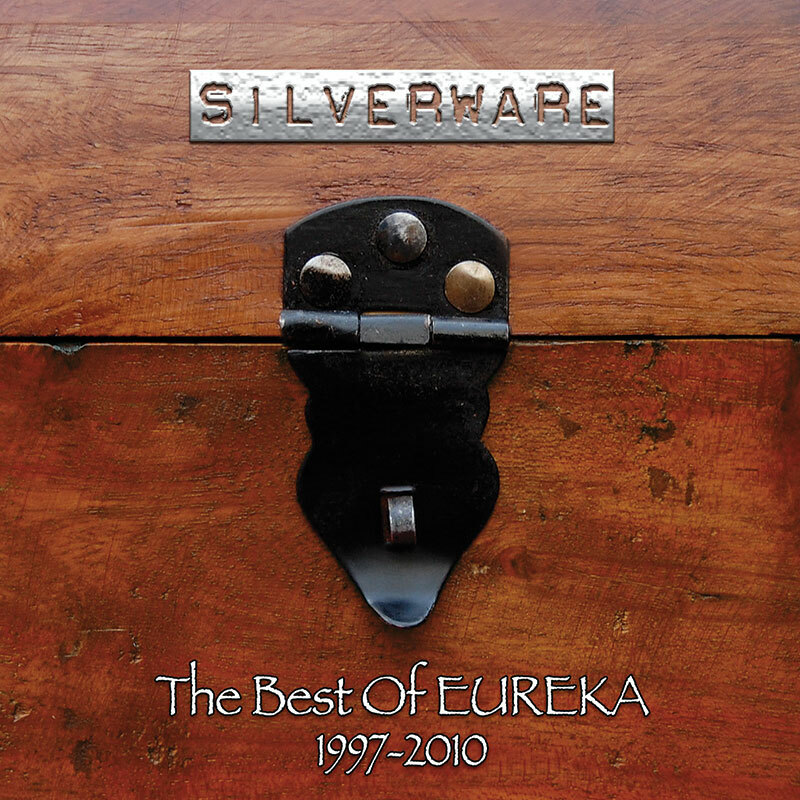 In 2010 I took a step back and decided to release a retrospective called „Silverware – The Best of EUREKA 1997-2010“. I re-recorded three tracks for the compilation CD and placed an early version of a new track on it as an outlook to what could be expected from EUREKA in the future. From 2010 on I started to work on the new album called „Great Escapes“. It’s the first full blown rock album in the history of EUREKA and it’s the first album on which I am the only lead singer. It is the most personal album I’ve ever done, featuring tracks like „Stolen Child“ a song about the „Parental Alienation Syndrome“ and the forced alienation from my son, „Animated World“ dealing with the story of a young gunman and „The Big Picture“ a long track staying in seven eight time signature for its entire length. It took five years to make this album, a real tour de force and I’m very proud of it! It was released on November 6, 2015.